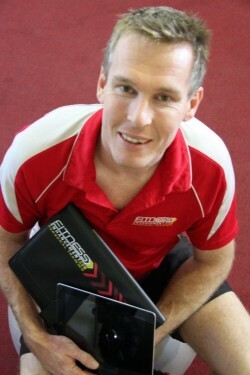 Have you been wondering about the Trainers behind Fitness Enhancement? Well, you’re not the only one! Due to popular demand, each newsletter will now have a profile of one of our leading Trainers. We are starting with Fitness Enhancement CEO and founder Scott Hunt. 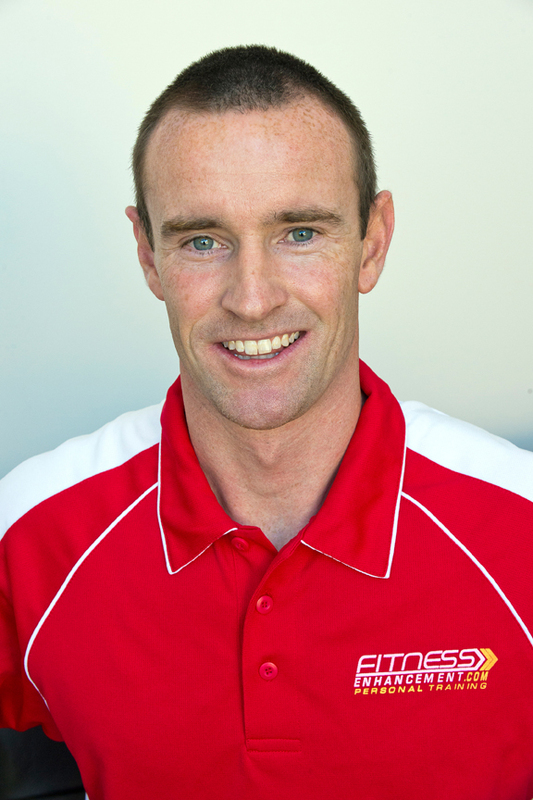 Scott began Fitness Enhancement as a 19 year old way back in 1999 on a mere $400 and a dream of one day taking Fitness Enhancement Australia-wide. Beginning from the boot of his car while still at Uni Scott eventually built up enough business to open a Studio in Nerang on the Gold Coast and slowly started growing from a one man show to having staff. As of 2014 Fitness Enhancement is the largest Personal Training company in QLD, the third largest in Australia, and now having franchised, is well on track to being Australia-wide in the near future. Over the years Scott has gone from juggling being a Personal Trainer and business owner, to now focussing on growing the business and training all the Fitness Enhancement Personal Trainers to be the best Trainers they can be. Scott’s training style which he instils into all Fitness Enhancement Trainers is all about variety and tailoring each and every session to a clients individual needs, likes and dislikes. udents ranging from beginners to fighters, Scott diverse range of pad work skills are incorporated into many sessions in a fun, non contact and safe manner. 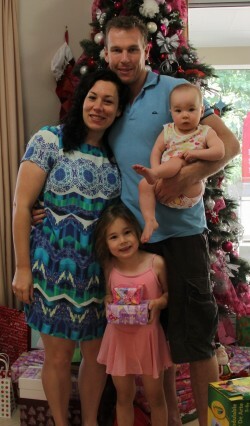 Scott and Cathy, his wife of 10 years, have two children, 4 year old Zoe and 1 year old Johdi. Cathy is an Arts Educator, working as an Teacher at Trinity Lutheran College. She is also the author of a bestselling book about using iPads in the Visual Art curriculum, website www.ipadartroom.com and runs her own educational consultancy. What is your biggest achievement as a Personal Trainer? Still having our original clients with us from 1years ago! Most of our clients that have been with us for 10 to 1years have done anywhere from 500 to 1000+ Personal Training sessions. My biggest achievement is ensuring we always find new and exciting exercises and challenges for them to maintain their motivation to keep coming back and achieving their goals. We are proud to have never given the same workout to any of these clients twice! A client that I used to get to train on a super yacht (helicopter pad and all!) owned by one of Australia’s billionaires! What is your favourite exercise as a trainer? Anything with Thai Pads. With just a set of Thai Pads and the knowledge to go with them, you can give an amazing workout packed full of variety for all levels of fitness. What is your favourite exercise or sport out of work? Formerly Muay Thai, I’ve now moved on to sports that still offer an extreme challenge…but without the injuries! 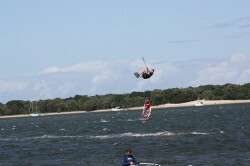 I completed the 42.2km Gold Coast Marathon last year and for my more exciting sports I kite board and windsurf which I’ve been doing for 20 years, and for the days there’s no wind I Jet Ski and wake board. Exercise wise nothing beats making the most of our Gold Coast beaches for a run and body weight exercises. “Whether you believe you can or you can’t, you’re probably right”, closely followed by “actions speak louder than words”. I’m a big believer in if you want something and you put the work in to get it, believe you can achieve it, and don’t ever give up, the odds are you will achieve it. The world is full of people that all have the same 24 hours in the day as you and I, yet some people achieve their goals and others don’t. The biggest difference between the two is the attitude and the self belief that you can achieve your goals, closely followed by taking action again and again to achieve your goals. Trainer Matthew Eddy is a professional sprinter and franchisee Our new Brisbane Franchisee Eli King Our newest franchisee Troy Symons has taken the leap from our Studio manager to business owner! Demi Allan – our newest Melbourne Franchisee! Introducing our newest Personal Training franchisee, Danielle Baker!